The One Book You Need This Year | I Teach. What's Your Superpower? 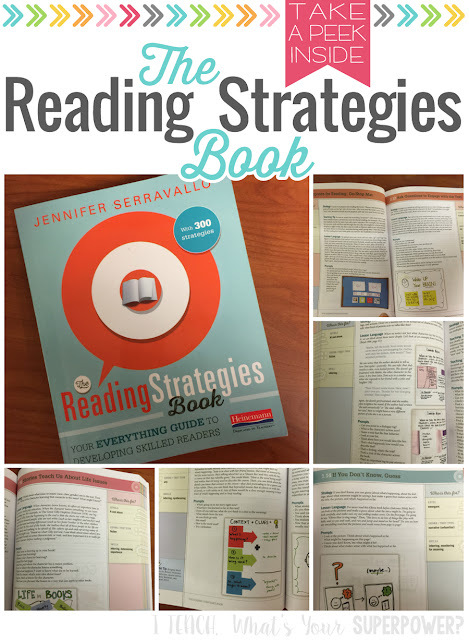 I am reading The Reading Strategies book right now and you guys . . . This may be the best book of all time. There is a reason the tagline on this book is "Your Everything Guide to Developing Skilled Readers". It's one of the most practical, I can use this in my classroom and make a difference in students' reading lives right now books I've ever come across. The first eighteen pages is on goal setting. 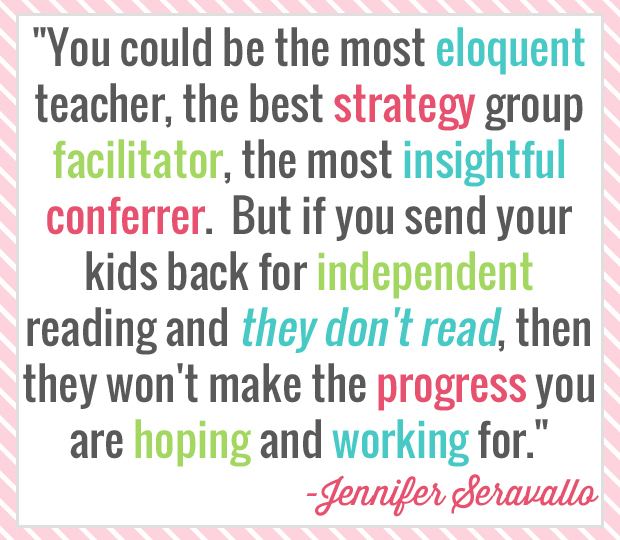 Thinking about where your kids are as readers, where the breakdown may be happening, and then moving with them from there. After that, there are 300 pages of one pages strategy instruction ideas that could be used with students individually, in small groups, or in whole class lessons. I love the Teaching Engagement section. Let's be honest. How many of us complain about our students not actually reading during reading time, hopping from book to book, or spending the whole time book shopping. Now, how many of us would maybe gloss over this section to get to the "heavier" reading stuff that kids need to be successful? I'm not going to lie-this book is expensive. It's in color which really drives up printing costs. Have the sections color coded makes it so much easier to flip through them though. Teachers are visual creatures. We color code EVERYTHING. 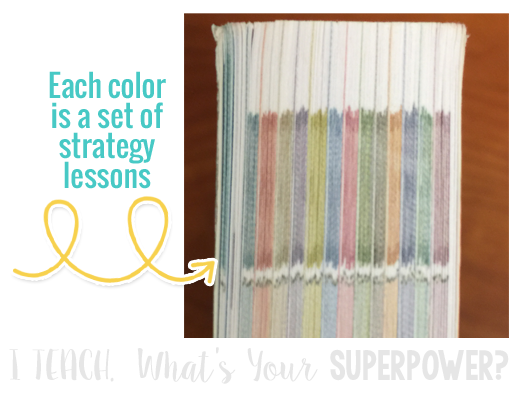 It makes sense for a book that is so full of lesson ideas is color coded. So, do you have it already? Are you thinking about buying it? I can definitely say The Reading Strategies Book was the best instructional resource I purchased this summer. I've been eyeing this up ALL summer... your post finally made me pull the trigger and click buy! Can't wait to dive in! Sticking this in my cart right now...well after I type this. I too have been eyeing it, but will be taking the plunge. Thank you! Just got it! Can't wait to dive in! Our literacy leaders in our building are going to be doing a book study on this! What grade levels would you say this book would be relevant to? I teach grade 6 ELA and wanted to know if it would be useful in my situation. It is marketed for K-8. The strategies are leveled for different ages/reading abilities. 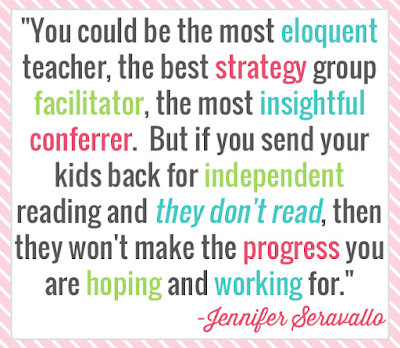 There are strategies that definitely work for upper grades!